Leonardo DiCaprio has been one of the biggest actors over the last ten years, buddying up with some of the best directors of our time, including Martin Scorsese, Clint Eastwood, Christopher Nolan, Sam Mendes, and Quentin Tarantino. But all those amazing movies can really begin to wear on a guy, apparently. DiCaprio announced to German newspaper Bild, "I'm now going to take a long, long break. I've done three films in two years and I'm just worn out." 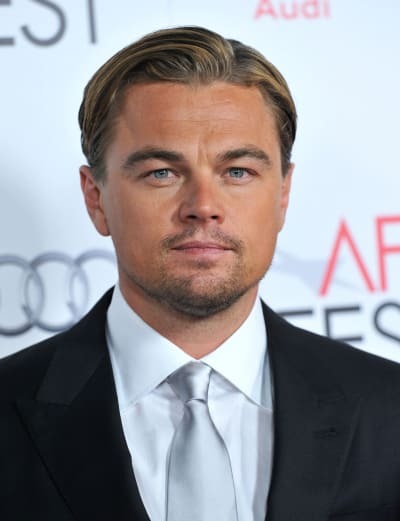 DiCaprio, who gave an absolutely chilling Golden Globe-nominated performance in Django Unchained, will star later this year in Scorsese's The Wolf of Wall Street, and as Jay Gatsby in The Great Gatsby. But after shooting three films in the last two years, DiCaprio just needs a break. What does he plan to do with his time off? "I will fly around the world doing good for the environment," he said. Hopefully he doesn't fly too much, as jet fuel isn't particularly green. No word on just how long a "long, long break" really is. Sometimes when actors make these announcements they really mean them, and sometimes they start filming a new Michael Bay movie 10 days later. Do you think this will stick, and if so, will you be sad to see Leo go?